With my wife, Christine, I’m the owner and principal guide and instructor at Driftwood Kayak. I’ve been a kayaking enthusiast since high school in Wales where I learned to build skin-on-frame and stitch-and-glue kayaks. As a teenager I paddled on rivers like the Usk and the Wye and also in the Bristol Channel on the South Wales coast. In more recent years most of my kayaking has been along coastal New England and especially here in Maine. This will be Driftwood Kayak's fourth season on Deer Isle. We started kayaking here after I discovered the endless possibilities for exploring the islands of Stonington and Deer Isle. While I was a graduate student at the University of Maine (many years ago), we spent family vacations camping on Deer Isle and for the past ten years we've owned and operated Hardy’s Hill House as a weekly summer vacation home to New England families. Now we offer the house to kayakers for accommodation 'by the night' usually the day before we go out on a trip. Last summer was particularly busy with one-day trips and sunrise and sunset trips but there was one particular day which stands out. You can read about The Most Perfect Day here. It’s important to me that I have the right credentials and affiliations so I can provide you with the best possible kayaking experience. 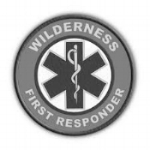 I'm a registered Maine Guide in Sea Kayaking, an Instructor in Coastal Kayaking (ACA) and a Wilderness First Responder (SOLO). I'm also affiliated with Maine Association of Sea Kayaking Guides and Instructors, Maine Island Trail Association, American Canoeing Association, Maine Tourism Association, Deer Isle - Stonington Chamber of Commerce and Stonehearth Open Learning Opportunities. We work closely with North Coast Kayaks in Lincolnville, ME and if you're considering buying an Epic kayak from North Coast Kayak, you can put an Epic through its paces at one of our Epic Kayak workshops. “There is nothing quite like seeing the coast of Maine from the water at eye level. And there is nothing quite like a day of island hopping from one gorgeous uninhabited island to another, having each one all to yourself”. I spend most of the summer with Driftwood Kayak at Hardy's Hill House. I'll do my best to help you enjoy your stay and prepare for your kayak excursion. And I can also provide information about Deer Isle, Stonington and fun things to do while you're in the area. When you're not kayaking you can stroll down Ferry Lane to Eggemoggin Reach to swim or sunbathe - it's just a five-minute walk from the house. Stonington is a fifteen-minute drive and we're about five minutes from Deer Isle center. If you have time, there are numerous antique shops, art galleries and restaurants as well as public walkways through woodlands along the shore. Stonington has an active summer theater (The Opera House) featuring movies, plays and musical performances. Off-island destinations include Bar Harbor, Acadia National Park, Castine, and Blue Hill. You can find out more about the area from our ever-growing collection of maps, books and brochures. I am a quintessential out-of-doors kind of guy and enjoy doing anything where I can see the natural world up close. Kayaking is one way to observe nature as it was meant to be, stripped down to the essentials of water, rock and vegetation. And sometimes that includes animals - sea mammals, birds - of course - and the smaller creatures that live at the border of sea and land, in the inter-tidal zone. I try to pass on my ideas about the natural world to my students (I'm a middle school science teacher) to help them discover some of the secrets of nature for themselves. (Note: Derek is the proud dad of beautiful three-year old twin girls. He holds Masters degrees in Geographical Information Systems and in Education).